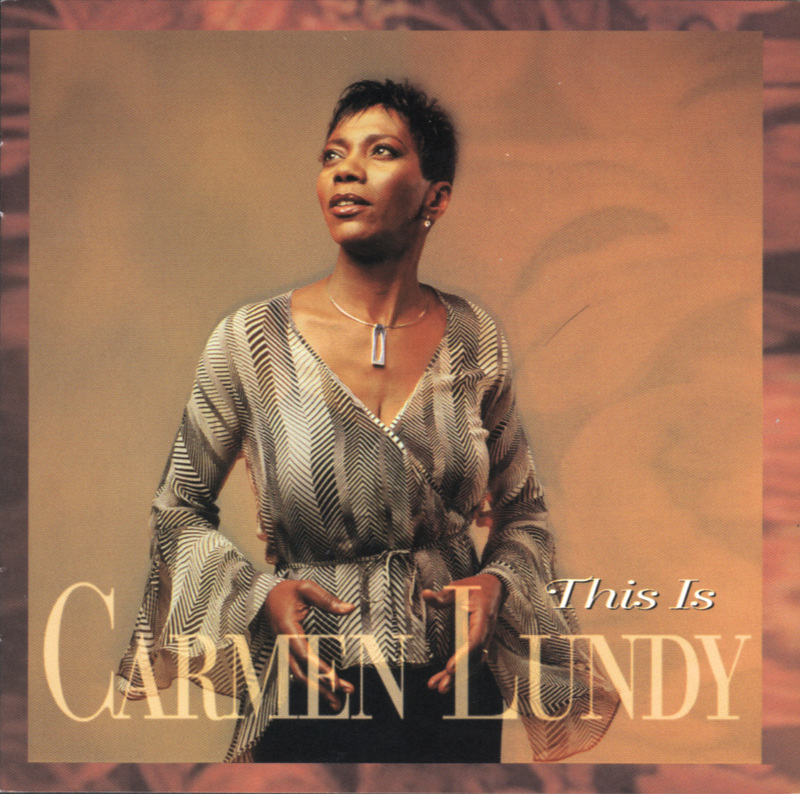 Carmen Lundy's first outing on the Justin Time label is also her first to feature all-original material. The classy vocalist is joined by an impressive cast: Curtis Lundy (Carmen's brother/producer) on bass, Onaje Allan Gumbs or Anthony Wonsey on piano, Ralph Peterson or Victor Lewis on drums, Bobby Watson on alto, Mark Shim on tenor, Kevin Louis on trumpet and flugelhorn, and Mayra Casales on percussion. Lundy wrote the music, the lyrics, and the arrangements, and much of it is impressive, particularly the difficult melody line she sings in unison with the horns on "Better Luck Next Time." In the production booth, however, Curtis Lundy relies a bit too heavily on fadeouts. The three/four ballad "Now That He's Gone," the mellow bossa "Send Me Somebody to Love," and the ambitious jam vehicle "(I Dream) In Living Color" would have benefited from real endings; the fades on these tracks sound like the creative equivalent of pulling the plug. Instrumental detail livens up some otherwise pedestrian material (e.g., the horn lick on the outro of "This Is the End of a Love Affair" and Mark Shim's tenor filigree and solo [and Ralph Peterson's brushes] on "Is It Love"). Lundy ups the ante, lyrically speaking, on the last two tracks: "One More River to Cross," co-written with Deborah Ash, deals with spiritual striving and contains a recitation of a Langston Hughes poem, while "Seventh Heaven," dedicated to the late pianist Kenny Kirkland, is a dramatic plea for peace. JazzTimes (3/02, p.63) - "...Not only an apt showcase for her creamy, latte-smooth voice but testament to the power and passion of her songwriting..."
Personnel includes: Carmen Lundy (vocals); Curtis Lundy, Anthony Wonsey, Bobby Watson, Ralph Peterson, Mark Shim, Kevin Williams.